We pride ourselves on being the market leader in steel based building solutions and the largest employer in the Franklin region. Our Commitment to innovation, from exporting iron ore to creating steel framed residential housing, underpins our desire to be New Zealand's premier steel building business. Approximately 1250 people are employed by New Zealand Steel in a vast array of positions. From the mine sites to executive leadership, we offer opportunities in fields as diverse as engineering & maintenance, product development & innovation, marketing & sales, mining, manufacturing, information technology, supply chain, logistics, human resources and finance. 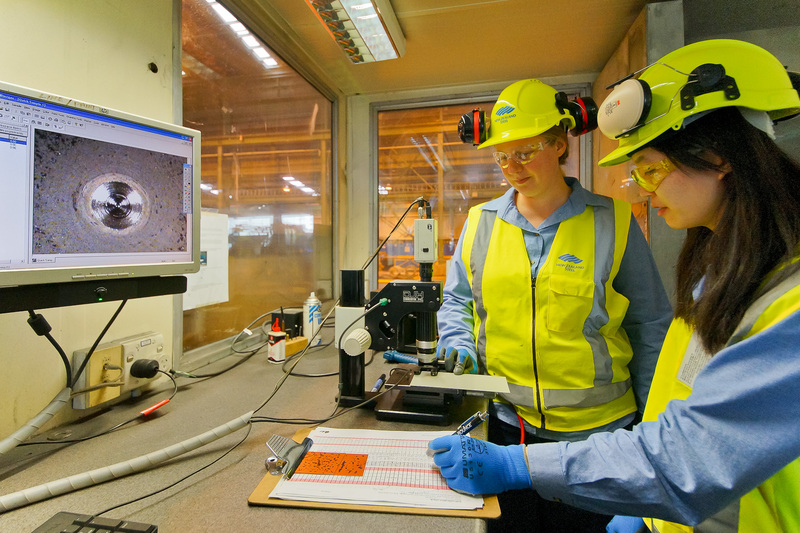 At New Zealand Steel we recognise that it's our people who make our products successful. Our team ensure safe conditions, constantly push for more innovative idea and recognise the importance of operating in a customer focused way. With this in mind we aim to nurture the careers of our employees and afford them opportunities for growth in every aspect of their careers so that they can continue to help New Zealand Steel grow. When you sign up to New Zealand Steel and our global owner, BlueScope, you sign up to the beginning of a long and diverse career with an iconic brand who has been in business since 1968. Find a supplier of New Zealand Steel products near you. Check our FAQs, call our support line or you can contact us through our online form.